Why are Lemons Sour ? Lemons haven’t always been sour. To us, a lemon is not a lemon unless it is acidic, with a pH of 2 to 3. For a long time, lemons were decorative trees with bland or slightly tangy fruit, which fools translators and commentators of antiquity. In Die Urwelt und das Altertum, erläutert durch die Naturkunde (berlin, 1820), Johann H.F. Link sought references to the acidity of lemons…and found only two. The Meyer lemon, slightly acidic at pH 5.5 to 6.5, is a Chinese decorative lemon that has only been used in cooking for the last 30 years. The lemon tree is decorative, evergreen, repeat flowering (as mentioned by Theophrastus, 371–288 bc), and has fruit all year round that is green or yellow when ripe. Today there exists a wide variety of lemons ranging from very bland to slightly sour. In an old orchard north of Seville, Spain, we found a perfect example of a bland lemon. The zest smells very lemony, and the pulp is bland. The white albedo is slightly bitter. It is very decorative, vigorous and floriferous. It looks exactly like the lemons in the fresco in the Casa de Frutteto in Pompeii. These lemons were grown in ancient times: the fresco shows a young lemon tree covered with fruit. The absence of ancient recipes using lemons for their acidity and the lack of domestic use of sour lemon juice are evidence that these lemons were nonacidic. Pliny the Elder, a contemporary of this fresco, confirms: “the fruit is good for stomach weaknesses, but one cannot eat it without vinegar....” At that time, lemons were tasteless or bland. When the Arabs made long voyages they cultivated lemons ... sour ones. Until the 9th century, lemons (all of which were decorative and bland) were not often cultivated. The expansion of Islam and trade launched the start of long regular voyages from Arabia to China and India, and triangular navigation in the Mediterranean (Atlantic Coast–Black Sea–Egypt) with Southern Italy as the epicenter. These long sea voyages brought on scurvy. Lemons were known for their healing properties no later than the 9th century. And so began a vast campaign to plant citrus around the ports of call, as well as an intense varietal selection. The merchant Sulaymân reports lemons among the fruit grown in China in 851. The navigators sailing to the East might be at sea for two consecutive months. The trip to China took five months. In 971, under the Emperor Shiu, the lemon is mentioned (Berthold Laufer, http://bit.ly/2aBcEBI ) as being received from the “barbarians of the South” (Chou-fei k k’u, 1174–1178) where there is an Arab and Persian presence in Guangzhou. At the same time, lemons were planted in Oman and in Palestine (10th century). In the Mediterranean, south of Naples, the Republic of Amalfi (first maritime republic, 850–1050) mandates the use of lemons on its ships. 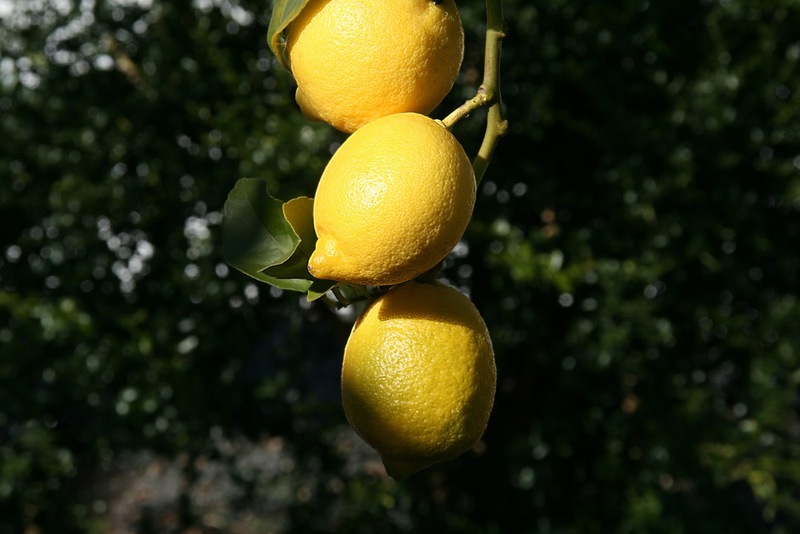 The entire coast of the Italian Republics is covered with specifically selected varieties of lemons. 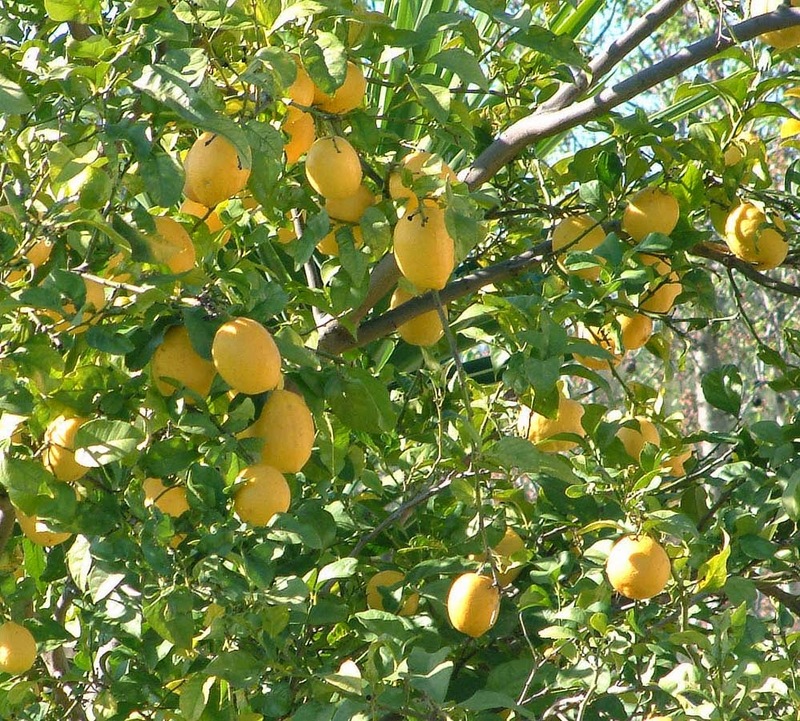 Lemons were cultivated in Egypt before 900 according to Tolkowsky (annotation of Coptic texts, Greek and Arabic with the word kortimos = el-Limun). In the 10th century, lemons and oranges were present in the Caucasus, Crimea and Batumi in Georgia at the far end of the Black Sea (http://asprus.ru). We grow a rare Russian ‘Pavlovsky’ lemon tree, native to Anatolia according to Peter Nahon, that comes from Estonia, a maritime republic that was in contact with the Byzantines during the 10th century. They say it bears fruit even when grown as a houseplant with little light. Ancient Andalusia where we live is a late-domestication zone (14th century). We cultivate the ‘Malaga’ variety. It is a large, moderately sour lemon that is traditionally eaten whole with salt on Easter Day. Except for the ‘Limone Interdonato’, the European quality labels listed below correspond to lemons from that period. 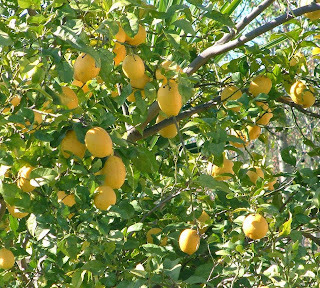 Limone Femminello del Gargano, on the Adriatic: Lemons have been present here since the 9th century with the Arab occupation. Femminello is a heavy flowering tree, in bloom up to five times a year. There are two local cultivars; the small round one is the most interesting. They are traditionally grafted on sour orange. Limone di Rocca Impériale, Gulf of Taranto: This is late fruit of medium size, very powerful zest and fruity juice. An excellent classic. Limone Costa Amalfitana, Gulf of Naples: There are many varieties—pane, piccolo frutti, etc. 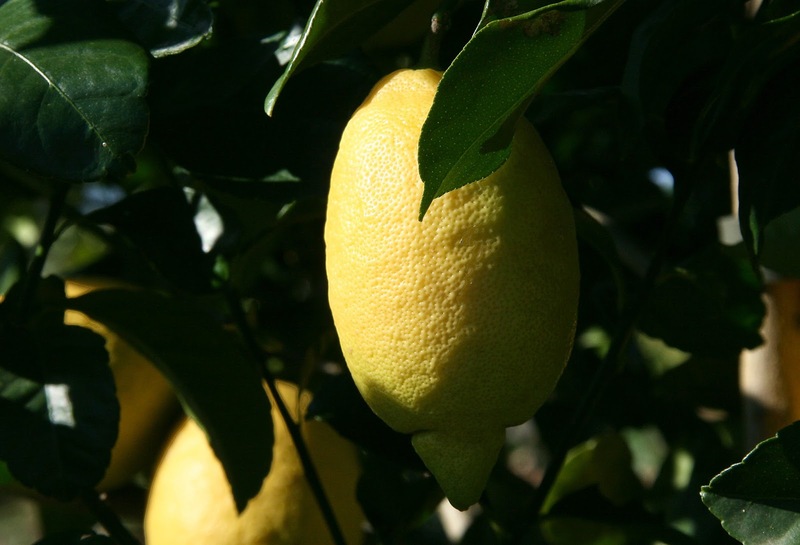 The Sfusato Amalfitano is a big, long lemon grown on pergolas that are shaded over summer; it matures in February and March. Limone di Sorrento, or Limone di Massa Lubrense, a close cultivar, are grown on the island of Procida adjacent to the Bay of Naples: A medium-size fruit with beautiful colour and a fruity characteristic zest. It’s our best lemon, the “King of Limoncello.” Incomparable. 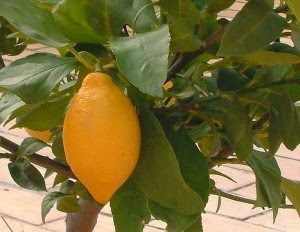 Limone di Siracusa, Sicily: This fruit is small, late and very productive. It is harvested in Sicily throughout the year; it was mentioned in the 11th century. Menton lemon, Gulf of Genova: A small lemon from the once-most powerful maritime republic that traded with the entire Mediterranean, the Black Sea and west to Flanders. This is a relatively cold hardy tree. Places of varietal diversity are places where navigators were present during the time of the Arab and Norman Mediterranean. And ... all of these lemons are sour. Acidic lemons, because it was believed that acidity heals. According to the medical profession of that time, a disease was an imbalance of body components. Hippocrates described scurvy as a disease of the spleen, resulting from an imbalance of acidic black bile, cold and dry (J. Jouanna, 2005) caused by an excess of salt and moisture. According to Italian researchers, the lemon was known as a remedy for scurvy by the Salerno Medical School (10th century). Lemonade and lemon juice were given by the school as anti-dryness remedies and tonics “a cure for stomach worms: lemon juice, saffron and sugar” (L’art de conserver sa santé par l’école de Salerno, A.A. Bruzen de la Martinière, 1760). The fact that they mix lemon juice with sugar indicates that the lemons were acidic. In North Africa, Ishaq Ibn Imran, court physician to the Tunisian emir Ziadet Allah III (early 10th century) prescribed hot lemonade as a remedy for fever. The Egyptian Abu Ya’qub Ishaq ibn Suleiman al-Isra’il (Isaac Israeli ben Solomon) in the 9th and 10th centuries describes lemon juice as refreshing, invigorating and will neutralize excess bile (Il limone e la costa d’Amalfi, Guendalina Giuliano, 2001). This physician also writes “citrus pulp is of two kinds. It is bland, tending towards a certain sweetness or it is acidic and incisive ... the kind that is acidic has penetrative properties, is sharp and refreshing. It eliminates the heat of the liver, strengthens the stomach and excites the appetite ...” (De Salerne à Al-Andalus: l’empreinte des médecins de Kairouan, Joëlle Ricordel, 2008). Abu ’l-Khayr, a botanist in Seville in the 11th century, “wrote the first description of lemonade and showed the value of lemon essence to treat cold illnesses (black bile) especially those striking fishermen and navigators” (Botanical Progress, Horticultural Innovation and Cultural Changes, Michel Conan, 2007). In the 9th century there were still bland lemons and acidic lemons. The acidic lemons were the ones used to treat illness. Yet mariners knew that it was lemons that treat scurvy and not acidic things: they carried lemons—not vinegar. There were two errors in the idea that acidity heals. On the one hand, acidity is not curative. It was James Lind who published in 1754 the experiment demonstrating that acidity does not treat scurvy by methodically testing various treatments including vinegar (no effect) and lemons (effective). On the other hand, it’s not an excess but rather a deficiency, a lack, a bodily need that is satisfied only by certain foods. This is what Gilbert Blane understood in 1794 and thus gave a unique advantage to his country by requiring all British sailors, including those in good health, to drink lemon juice every day. Vitamin C (ascorbic acid) was discovered in the 20th century, 100 years ago. Ascorbic acid is only slightly acidic. It is more abundant in sweet fruits like oranges, mangos and guavas than in lemons. The lemon owes its acidity to citric acid which is a good preservative and hence its success among sailors. The lemon became acidic not only because it treated illness but because it kept well. This is why acidic juice lemons are so prevalent and why Blane imposed a daily dose of lemon juice rather than guava nectar. In cooking, according to the theory of balance, acidity compensates for sweetness and fat, helps to digest spices and adds flavour to bland dishes (Lucie Bolens, 1990). The principal acidic element used since ancient times is vinegar, more rarely verjuice, sumac juice, acidic pomegranates or bitter oranges (Wusala ila’l-Habib). 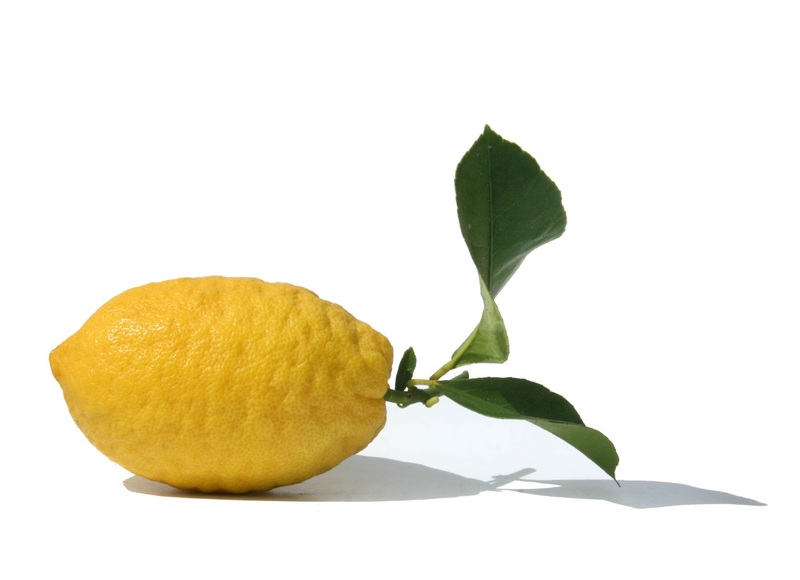 The exact nature of limu, the acidic laymun from the Near and Middle East, is not clear (lemons, acidic limes or citrus limetta with acidic juice). Written sources are not easy to date. An indisputable reference to culinary use of lemon juice for its acidity was found in recipes from Roger II of the court of Sicily (first half of the 12th century). A recipe by Bazmāward: “Take well-done roast meat…add fresh mint leaves … and celery leaf. Sprinkle it with a little vinegar and lemon juice and if you wish, put in the juice of salted lemons or of sour fruits instead of lemon juice.” It is also used in the sauce for the cucumber with yoghurt recipe and for its peel (Donna Serena da Riva, 2006). In Egypt, we don’t know what type of lemon renowned agronomist Qustus al-Rumi (10th century) cultivated nor of which lemon the physician Ibn Jami (12th century) spoke of in the first book devoted to lemons (partly lost). The agronomist Ibn al Awwâm, his contemporary in Seville, doesn’t mention the acidity of lemons, and had never actually seen the fruit that must have been rare in Andalusia. So it is not very likely that acidic lemons were cultivated in the Murcia region of Spain in the 8th century as affirmed by Westerfeld in The Ricote Valley: One of the first places of Lemon Cultivation in Spain (2014). The Abbasid empire extends from Southern Caucasus to Yemen, from Libya to Kashmir. It is at the center of long sea voyages and five seas (Mediterranean, Red, Oman, Caspian and Black). In Baghdad, the capital, Muhammad idn al-Hasan al-Baghdadi (beginning of the 13th century) offers a fish recipe: “tirrîkh in sour lemon juice.” The tirrîkh (Alburnus tarichi) is a fish found in Lake Van, in Armenia, in southern Caucasus. Baghdad imported its lemons from Tabaristan, southern coast of the Caspian Sea (David Waines, 1989) where lemons are traditionally reproduced from seed, resulting in more cultivars. These two clues link the origin of sour juice lemons to this zone. During the same period and for the first time, lemon juice is commonly used in Egypt. Kanz al-Fawa’id gives several recipes using lemon juice to acidulate: meat and onions flavoured with rosebuds, pepper, cinnamon and mace with freshly squeezed lemon juice, lemon juice used in the stuffing for roast mutton, in fish stew, etc. West of the Mediterranean, contemporary recipes of Al Andalus are rare and do not use the juice. Razin al-Andalusi al-Tujibi uses lemons confit in salt. The Anonymous Andalusian Cookbook gives a recipe for lemon syrup with sugar. No one knows when lemon liqueurs or syrups, originally medicinal products, became delicacies. The first regular, long distance sea voyages left from the Abbasid Caliphate and the Eastern Mediterranean, both of which are directly linked to the culture of lemons with sour juice. It is also there, no later than the 12th century, that lemons with sour juice became commonly used in cooking and as a sweet drink. Islam influenced the spread of its culinary use. Egypt and Syria are stages in the pilgrimage to Mecca which, according to historians, is an important element in the spread of customs in the Islamic world. Sicily during the time of Roger II was heavily Muslim. The tradition of making lemonade (limoun hassaoui, sour limes grown in Al-Ahsa in Arabia, near the Persian Gulf ) as a fortifying remedy during Ramadan has remained. Lemonade, the direct transcription of the Arabic شراب الليمون , is the result of the combination of sour lemons and …sugar, another medieval Arab innovation. 1493. Columbus came from a lemon-growing country; he planted lemon trees on his stopover in Gomera in the Canary Islands. Vasco da Gama knew that lemons cure scurvy which didn’t prevent him from losing 60% of his men during his first trip to India in 1498. In his book, Le voyage des plantes et les grandes découvertes, Mendes Ferrão J. E. (2015) writes “During the period of the Great Discoveries, the Lusitanian navigators gave great importance to citrus, having learned from the Arabs that their fruit had healing qualities for sailors who spent too much time eating dry food....” All the Portuguese ports of call are planted with lemons: Cape Verde, São Tomé, Saint Helena, the east coast of Africa to Macao, and to the west, Madeira and Brazil. 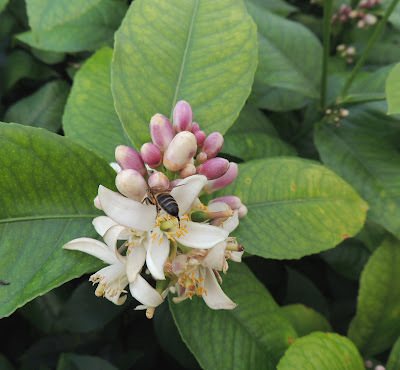 We can assume that the use of sour lemons is why these navigators didn’t notice the sour East Asian citrus (Citrus × depressa, Citrofortunella microcarpa, etc.) known today for their health benefits and the fact that they fruit in summer. That this knowledge didn’t spread quickly among seafarers or in northern European kitchens is not surprising. For a long time, Northern Europe ignored edible citrus grown in Southern Europe. For example, the Dutch renamed “Pompelmoes,” which were pomelos discovered in Asia while they were simultaneously being grown in Spain under the name “Zimboa.” It was not until the 17th century, when an Italian was queen of France, that sour lemons become frequently mentioned in Northern European recipes. Lemonade became a common drink by 1630. The lemon, exclusively known in its sour form, is cited 100 times in Le vrai cuisinier français (F. P. de La Varenne, 1698) while it had been used by southern cooks continuously since the Middle Ages. During the Arab Middle Ages, lemons became sour for two purposes. The first was medicinal, the second was culinary, which has continued and spread worldwide. The lemons are used mainly for their juice: the fruit should be neither too large nor too small so that it is easy to squeeze by hand. For 1200 years, we’ve selected lemons with thin peels and juicy pulp. The demand for sour lemons requires year-round availability. Selection depends not only on the acidity of the juice, the taste and fragrance, but also on whether the variety bears fruit very early or late and whether it keeps well on the tree or after harvest. So the sour, juicy lemon has become the domesticated citrus fruit with the most extended harvest season and lemon juice is widely available. 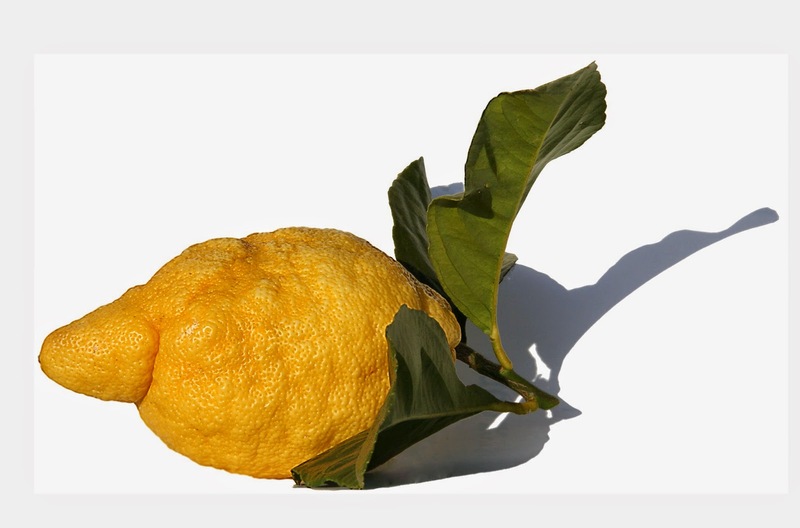 During the Fruit Logistica Fair in Berlin in February 2016, Spanish plant breeders introduced the cultivar ‘Summer Prim’, a thinskinned sour lemon that fruits in summer. In Parme [French for Parma (Italy)], ‘Limone Femminello Siracusano 2kr’ was presented; it ripens in October and is thornless. The lemon collection is one of the more surprising for visitors to our orchard. Everyone forgets how this fruit has been made by man and history. I hope the first manned mission to Mars will carry sour lemon seeds, in tribute to this old friend of long distance travelers and gourmets.